Vegetable capsule (vegetable fiber, water), cellulose. For best results, take one capsule per day, with or without food. Store at 77F (25C) or below. Best if refrigerated. Consult your physician before using this or any product if you are pregnant, nursing, trying to conceive, taking medication or have a medical condition. Keep out of reach of children. 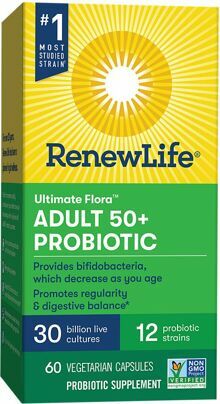 When using probiotics, it's important to choose a probiotic supplement that supports both sections of the intestinal tract. 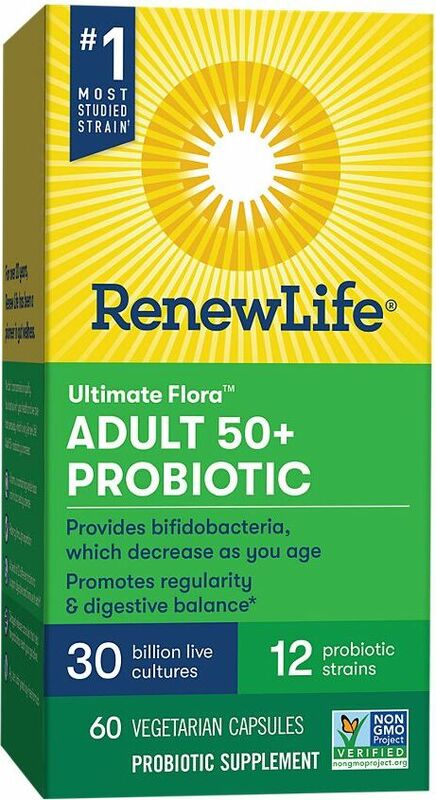 Ultimate Flora probiotics are delivered in delayed release vegetable capsules designed to resist harsh stomach acid. Made in a facility that handles wheat, gluten, soy, and dairy. Individuals extremely sensitive to these ingredients should consult a physician prior to using this product.